Right now, the epicenter of the European custom scene is Spain. The Iberian Peninsula is already famous for its petrolhead culture, which has spawned legions of MotoGP stars—and we’re now seeing a growing number of workshops transforming older bikes into drop-dead gorgeous traffic stoppers. 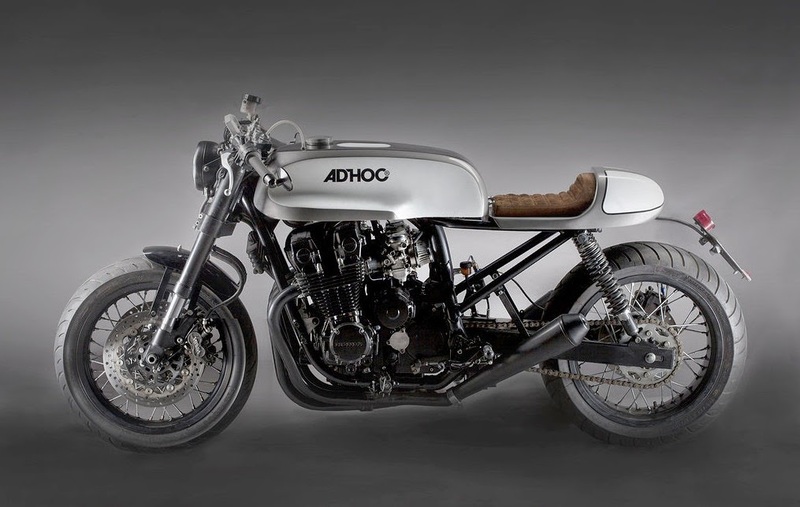 Shops like Café Racer Dreams, Kiddo, Macco Motors, Valtoron and El Solitario are pushing the custom envelope in different and refreshing ways. 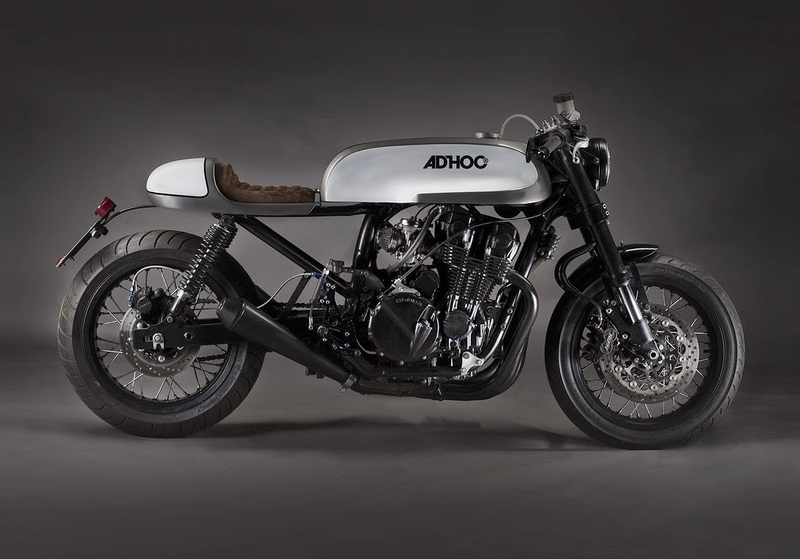 A relative newcomer to the gang is Ad Hoc, the nom de plume of David Gonzalez—creator of this stylish Honda 750 Nighthawk. Gonzalez’ trick is to pick solid but somewhat clunky bikes, and give them a touch of class. This Nighthawk was his second build and until now has flown under the rader, being the the ‘shop bike’ until a customer took a fancy to it. After a repaint, Gonzalez has just waved the bike goodbye. 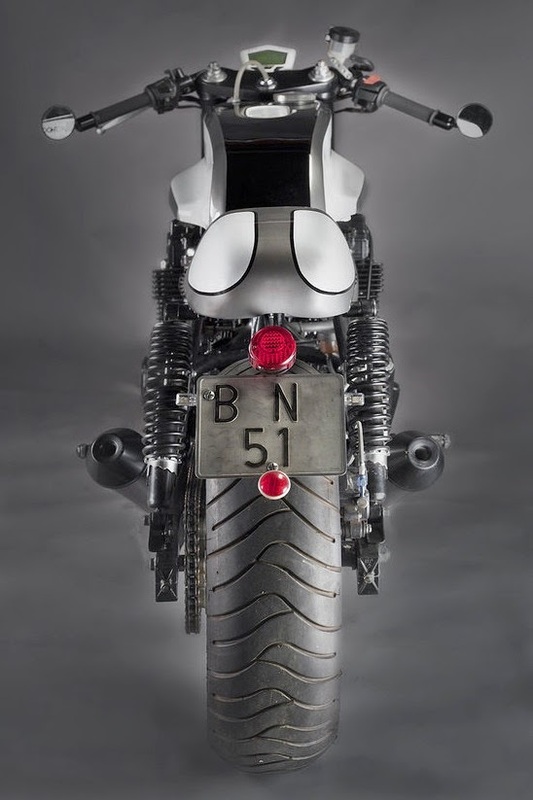 The Nighthawk 750 is the classic Universal Japanese Motorcycle: functional, well engineered and slightly dowdy. So Gonzalez retained just the engine and the central section of the chassis. The handling has been upgraded via forks from a Suzuki GSX-R750 and the wheels from a Ducati GT1000. Gonzalez sandblasted and repainted the frame before hooking it up to a new swingarm and subframe. 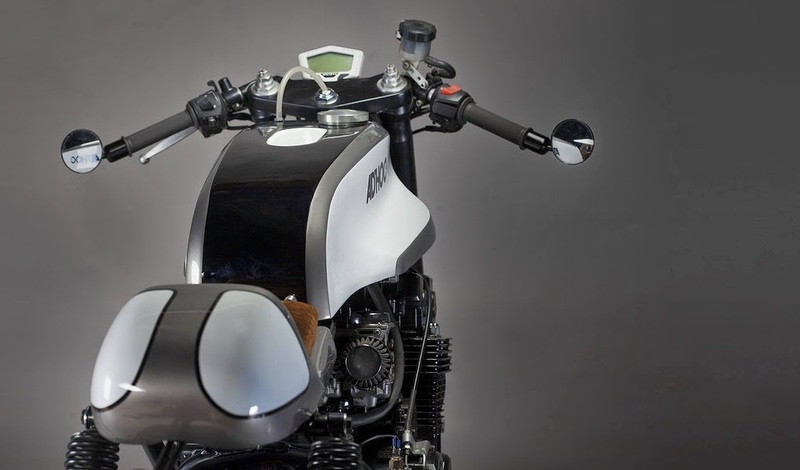 Sitting up top is a long, squared-off tank from Europlast, molded in the endurance racer style. 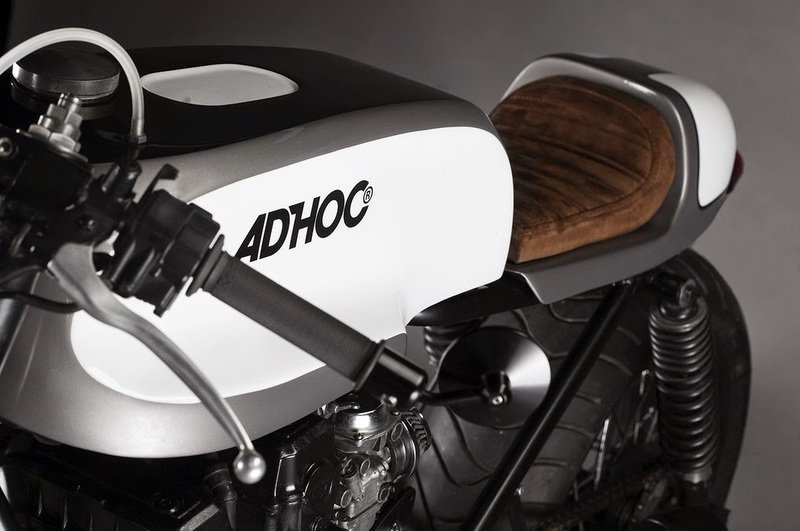 The seat is a modified Bultaco TSS item, retrimmed in brown nappa leather and the perfect match for the angular bodywork—a signature of Ad Hoc’s style. There is rarely anything wrong with the engine of a Nighthawk, which makes an ample 75 hp. So Gonzalez has simply refreshed it, restored the stock header pipes, and hooked them up to slim custom mufflers.